Blizzard’s competitive Massive Online Battle Arena Heroes of the Storm has a ton of new content coming in the remainder of 2016 and throughout 2017. During the opening ceremonies for Blizzcon 2016 developers announced two new characters that will be coming in the following months – Varian & Ragnaros as well as a brand new arcade mode map Blackheart’s Revenge and all new recruit a friend campaign that has the potential to unlock 5 free heroes and a 30 day stim-pack. The former High King of the Alliance Varian will be the game’s first dual class hero – allowing players to customize their game play experience depending on which style of play they prefer – either tanking or becoming a nimble assassin. Varian will either wield his sword in one hand if playing a tank or split it into two for the assassin role. Hailing from the classic World of Warcraft Molton Core raid Ragnaros comes into the nexus in a future update. One of his unique abilities allows Ragnaros to take over a keep or fort and become a giant version of himself for a limited amount of time with a second set of abilities. It looks like this former raid boss will be a force to reckoned with once he hits the lanes. Running on November 15th until January 4th invite your friends to play with you in the nexus and unlock rewards in both Heroes of the Storm and Overwatch for both of you. 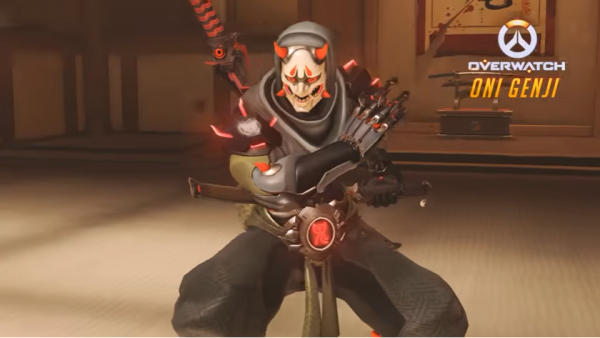 Completed 15 Games (Ranked, Unranked Draft, Quick Match or Co-op) and unlock the Oni Genji skin in Overwatch, a spray + player icon in Overwatch as well. 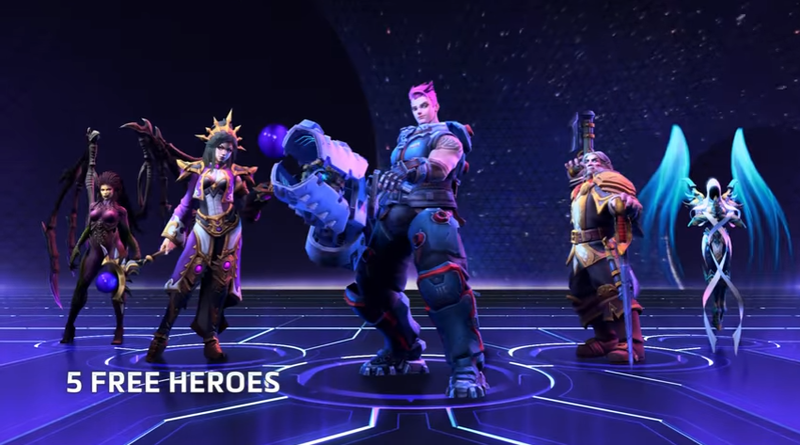 For Heroes of the Storm playing 15 games will unlock Zarya as a hero and a Genji portrait for use in-game. Complete 30 Games (Ranked, Unranked Draft, Quick Match or Co-op) and unlock Greymane, Karagin and Li-Ming in HOTS as well as the Orochi Hovercycle mount and a 30-day stim pack granting double experience and gold. More information on this new Recruit a Friend campaign is available on the Heroes of the Storm Developer Blog.